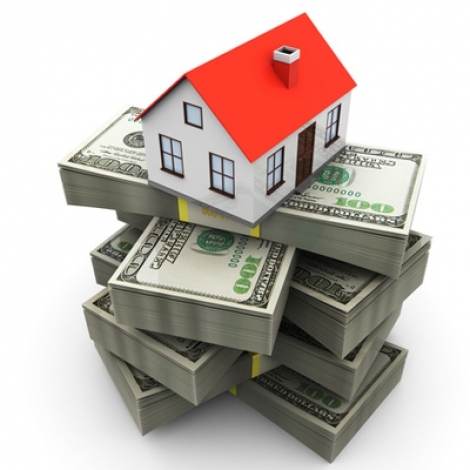 What is the best value for home buyers in today´s market? Meet our “New Home” Experts at Happy Herald Realty who understand why the value of new construction beats resale homes. Many sellers who bought their home when home values were overstated have not adjusted to the current market and still believe their home should be worth what it could have sold for in its "heyday." Builders, on the other hand, have adjusted to the reality of the current market and with so many new home communities springing up; they also know they must compete for your business. What this translates to is better prices, more included features and added incentives. Builders have written down their land costs, changed specifications, and have lost the fluff and overhead they once had worked with. They´ve had to change their business model to fit today´s market and lower prices are a reflection of that! The cost per square foot for a Florida new construction home is typically better than a resale home, and is often competitive with short sales. When an appraisal is done and closed homes are pulled, short sales are included, reducing the appraised values for all homes. Although this isn´t necessarily fair or correct, it has kept current home values at an all-time low and new home builders are the only ones that can compete. Florida homeowners are also not rushing to put their homes on the market to sell them at a loss. Instead, they are sitting on their property and waiting it out for the market to improve, which will happen slowly over time. What this all boils down to is that if you are considering selling your home at a loss and buying at today´s prices, it would be a wash because with time, your Florida new construction home will increase in value just as the old one would have, and you will have recouped your equity. Most new homes also have a longer life expectancy than resale homes, giving them a longer period of time to appreciate. Using a gauge to how newer homes should perform from an efficiency standpoint compared to older homes, it’s clear that just as homes meet code, they are going to be more efficient. The more energy-efficient mechanics of the house also help reduce utility bills for new-home buyers, new homes often include green systems and appliances such as high-efficiency stoves, refrigerators, washing machines, water heaters, furnaces or air conditioning units that homes built years ago might not. The features of new homes should also hold up better than those of existing homes, which may have experienced years of wear and tear. New homes are engineered spe cifically to minimize maintenance requirements. For example, using composite products for a home’s exterior trim instead of wood, which could rot or need repainting. You buy a used house, you don’t know what you are getting; you might have to do more maintenance. In addition, builders often agree to take care of the necessary repair work in a new home for at least the first year. When you buy a resale home, even if you have a home inspection done, it still does not turn up hidden defects that you don’t find out about a lot of times for two years. New-home buyers can take advantage of mortgagefinancing perks available through their Builder. In today’s market with the shrinking foreclosure bargains, resales are again rising in price. Inventory is at an all-time low. Many sellers are on the sidelines waiting for the market to further heat up. Many on the market have their expectations beyond reality and fall to the wayside when it comes to appraisal. Let Happy Herald Realty be your guide in finding the right property for the best price and best location. An intelligent well informed qualified buyer does not need convincing-they recognize where the best values are.